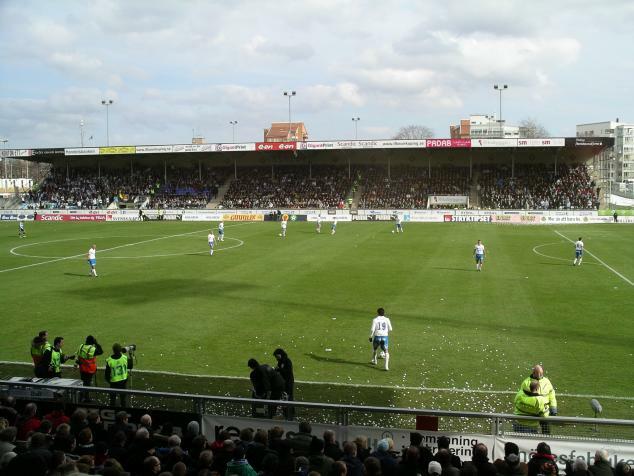 Norrköpings Idrottspark, also known as Idrottsparken or Parken, was opened in 1904 and hosted three matches in the 1958 World Cup as well as three matches in Euro 92. 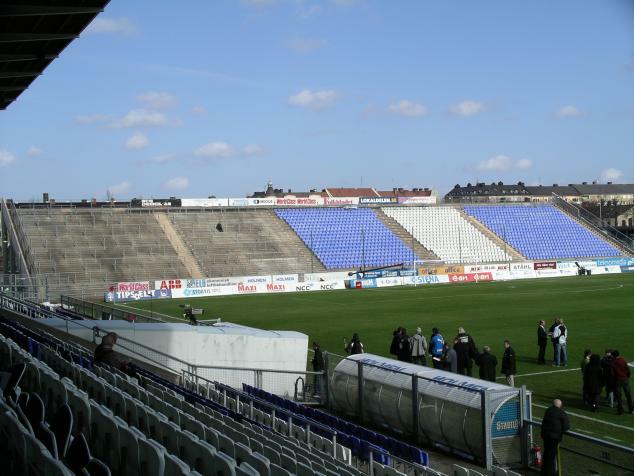 Originally the ground had an athletics track but this was removed when the ground was redeveloped for the Euro 92 tournament. 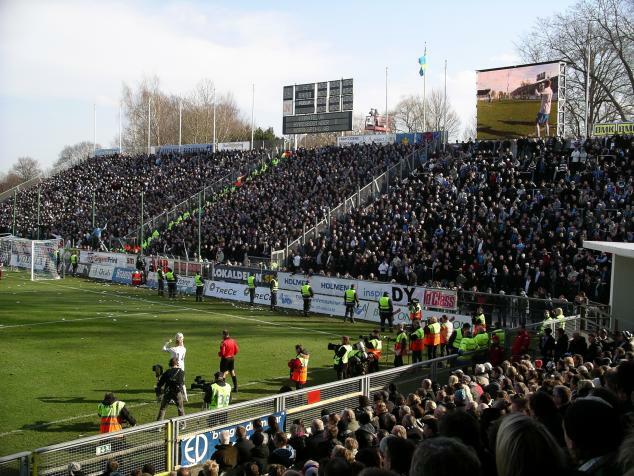 The record attendance is 32,234 from 1956 (IFK Norrköping - Malmö FF). 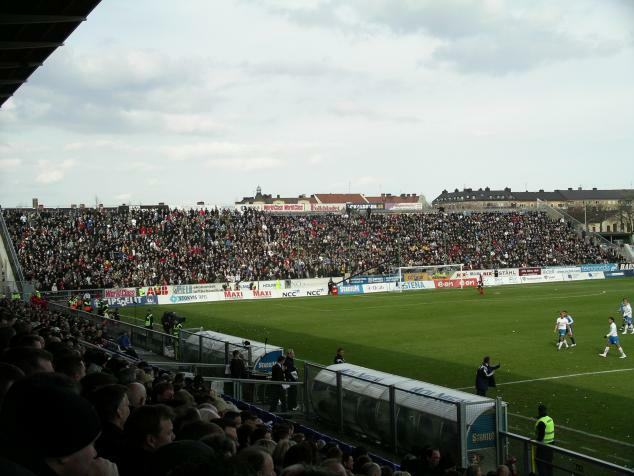 Norrköpings Idrottspark was almost completely redeveloped during 2008 and 2009. Building works on Idrottsparken was finally completed in September 2009 reducing the capacity to around 15,000 which is less than before but with much improved facilities. 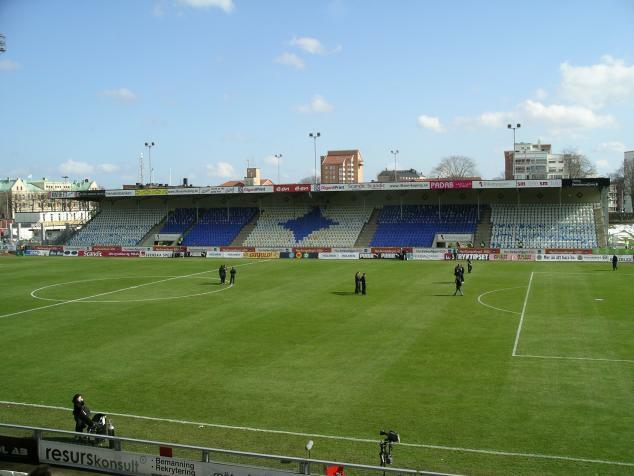 The stadium was also renamed to Nya Parken. 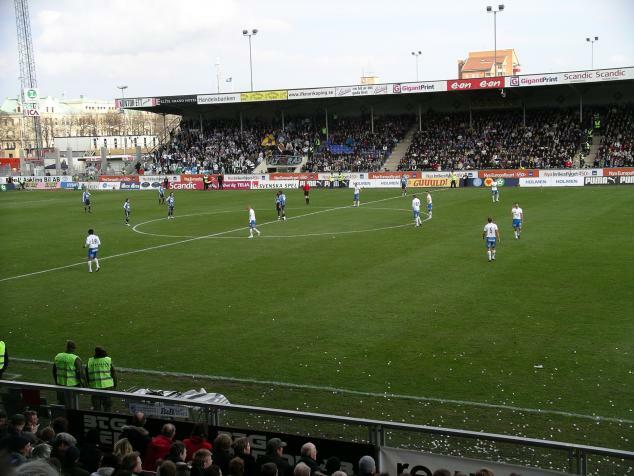 The pictures below are from the "old" ground. 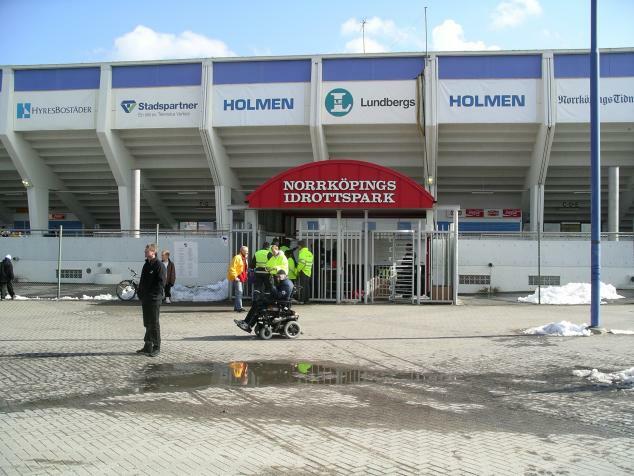 Visit the Sleipner page for pictures from the "new" ground. After five seasons in Superettan IFK Norrköping, one of the most succesful clubs in Swedish football, are finally back in Allsvenskan and the first match of the year was against Djurgården. 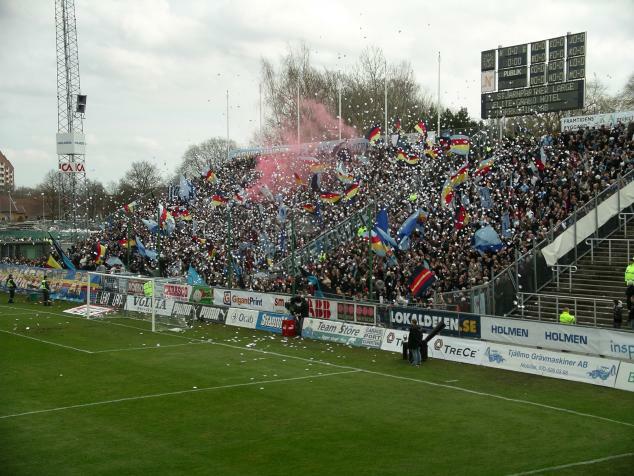 The match was delayed by 30 minutes after the organisers sold more tickets for the away section than there was actually room for. As I was watching the away section fill up and at the same time watching the queue of fans waiting outside it was obvious something disastrous was about to happen. 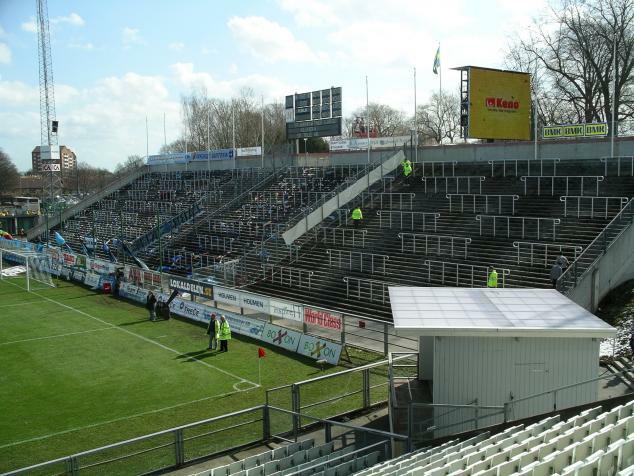 This was prevented by police ordering Norrköping to give the entire South end of the ground to the visitors from Stockholm. 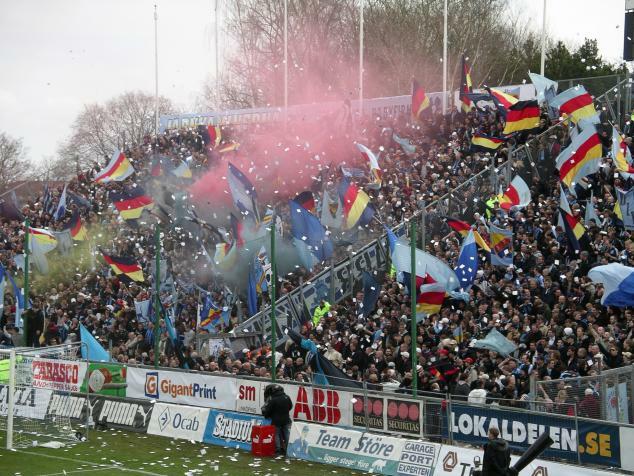 When the game actually started the 6,000 away fans created a brilliant atmosphere and even if Norrköping lost today I am sure they love being back in Allsvenskan and playing matches with this kind of atmosphere.